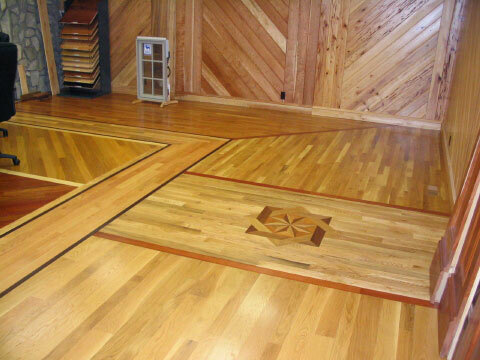 There are many things to factor into the buying equation of hardwood flooring to make sure the actual hardwood product is right for the consumer?s specific environment. Factors such as lifestyle, species, color, and construction (solid or engineered) all need to be evaluated and factored into the final decision. Lifestyle: The important thing to remember is each customer?s home is unique and can therefore pose unique challenges. Determine where the product will be used. Will it go in a kitchen or dining room? Remember, the needs of each area can have a considerable impact on the long-term performance of the wood flooring chosen. Children and Pets: Here the issues are damage, durability, scratches, dents and pet damage. 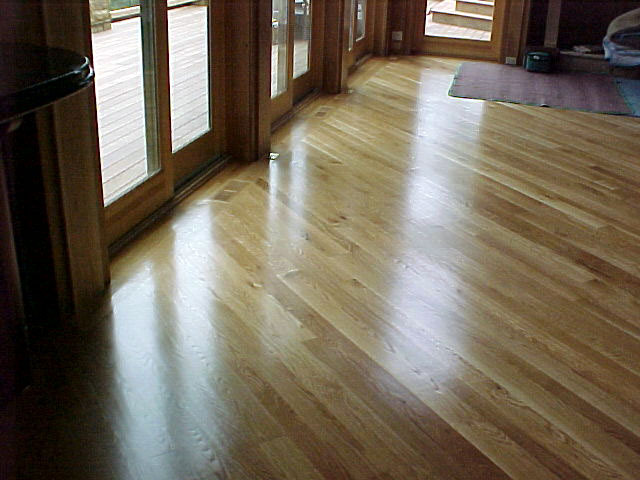 Wood floors in homes with children and/or pets will need to be refinished much sooner. Floor care will be expensive over time so ceramic tile in the kitchen may be a better option. Wood Finish and Gloss Levels: Higher gloss levels look great but will require more care and can show more visible scratches. Lower sheen levels can help to mask some of the surface damage. Floor care and protection: Products like area rugs are a must, particularly in the traffic areas and pivot points. The use of area rugs when placed in the proper areas can add a dash of color and style to the d?cor as well as protect the consumer?s investment. Floor cleaners and proper cleaning kits are also vital. Using the wrong products can lead to permanent damage, build-up and dull floors. To prevent this make sure to provide the consumer a copy of the manufacturer?s warranty and floor care information at the point of sale. And don?t forget to review this information with the consumer so they know how to take care of their investment. Provide the consumer with the recommended floor care kit so they have the right products to use. This can help lead to repeat business when the consumer needs more of the product. Maintenance-related callbacks can also be greatly reduced, or even eliminated. Species/color: We are seeing more and more different species being sold. It is important that you understand these species? characteristics because each one requires some education at the point of purchase. 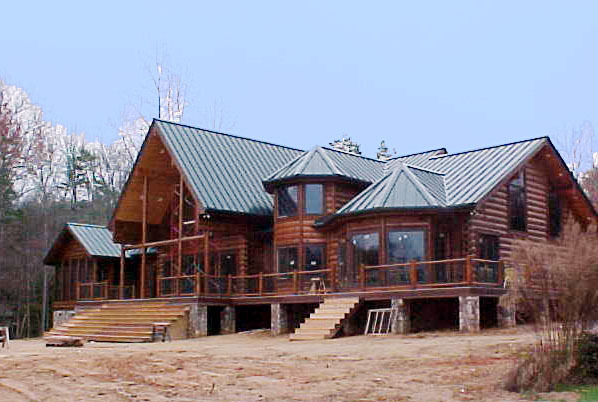 Hardness: All species of wood will dent or scratch no matter the Janka hardness rating. 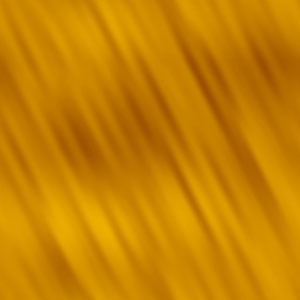 Photosensitivity: Remember, all wood is photosensitive and will change in color. Some species can actually lighten, not darken. Make sure to inform the customer up front that this can happen and is normal. It is always important to inform the customer of these variables and factor them into the buying equation. Solid vs. Engineered: Is one better than the other? This can be a difficult topic to answer as both solid and engineered products have their place. The following considerations should help clarify which product is better suited for individual circumstances. 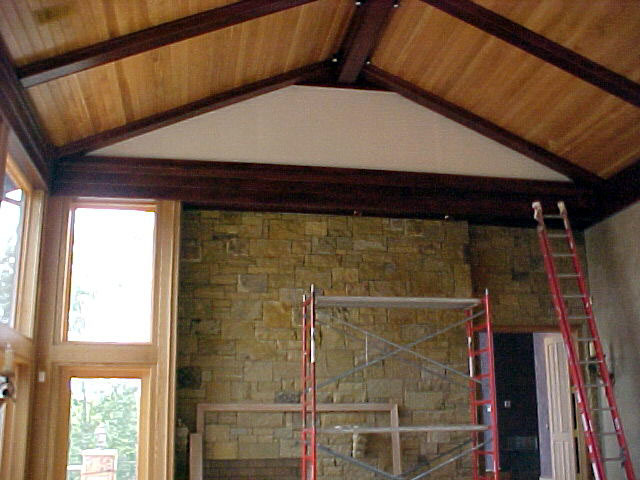 Grade Level: For below grade installations an engineered product is recommended because of the potential for moisture. The dimensional stability, or the reduced expansion and contraction of engineered products make them more stable when installed over a concrete substrate. Moisture testing should always be done to establish whether there is a higher than recommended level of moisture present. Glue-Down, Mechanically Fasten or Float the product? Either method is usually acceptable with engineered products. Direct glue-down is typically the preferred method, but the industry is seeing a tremendous amount of improved underlayments that offer both moisture protection and sound deadening. These new products can reduce, or in some cases, eliminate the hollow sound associated with floating installations from years ago. 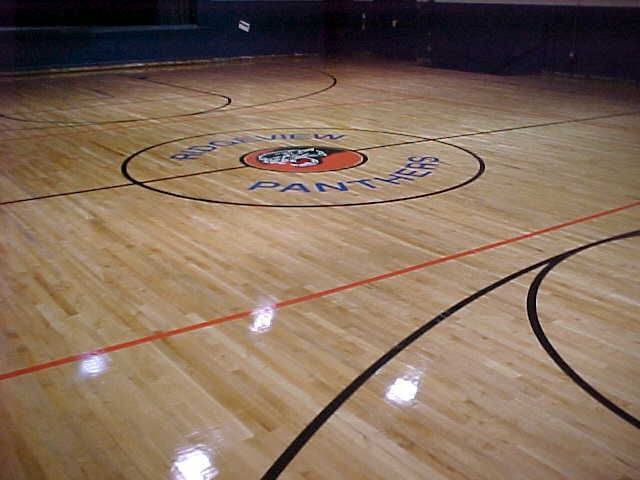 Installation: Solid wood products can be installed on-grade product, but because the potential for moisture exists, steps must be taken to ensure that moisture does not become a factor that affects the wood after installation. 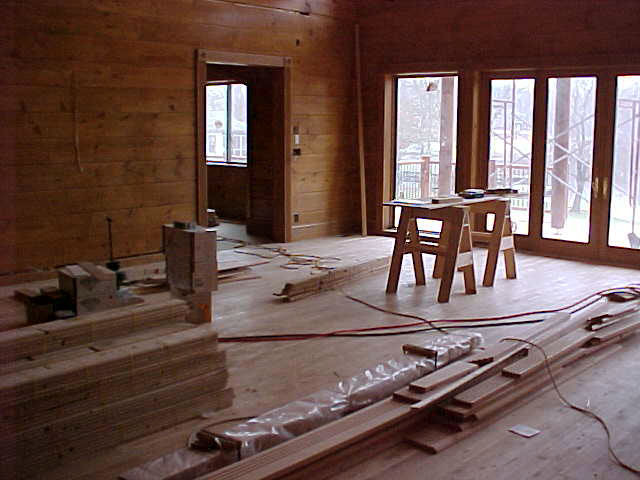 Additional factors that need to be addressed are the need of installing a plywood subfloor over the concrete. 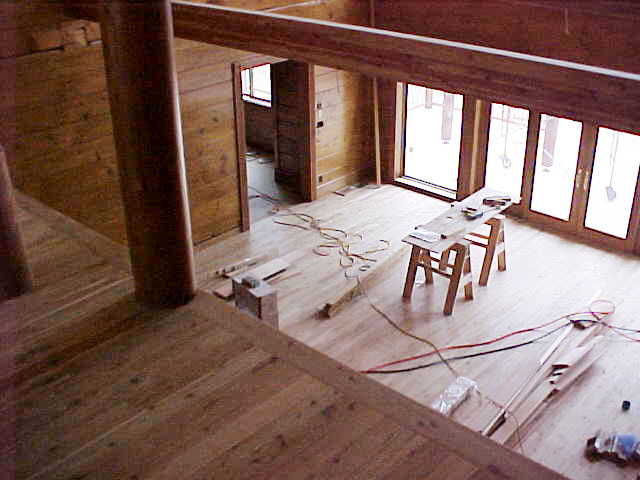 The minimum thickness for a plywood substrate in this application is 5/8″(nominal) and then factoring in the thickness of the wood (3/4″) issues such as height, transitions, added material costs and added labor costs must be factored in to the buying equation. Moisture: When it comes to concrete substrates: Always check for moisture using the established and recommended methods for testing and limits that are deemed acceptable. Failure to test can often lead to failure, period, along with finger pointing and possibly litigation. The good news is when a concrete substrate is tested and found to have a higher than recommended Moisture Levels, there are products available that can reduce the vapor emission rate to an acceptable level. . 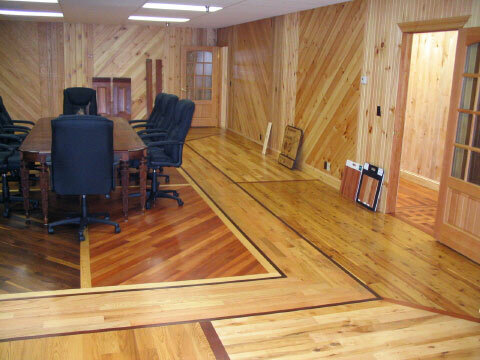 Whether you are looking at remodeling or new construction there are a variety of wood substrates such as plywood, OSB, existing wood floors, existing floors of other types, particleboard, etc. 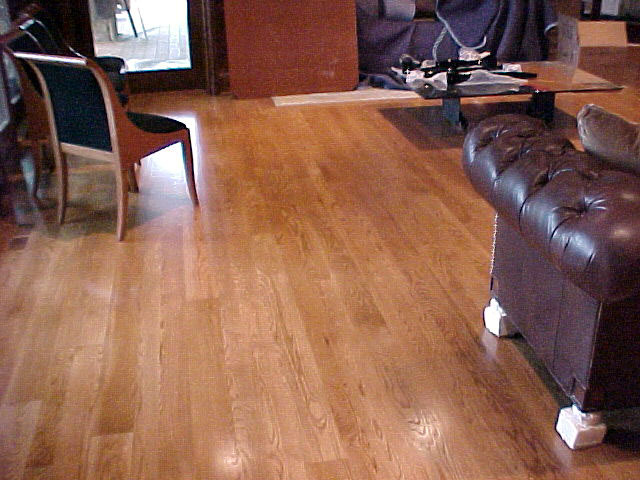 Each substrate can, in most situations, be a suitable substrate for the installation of a wood floor. 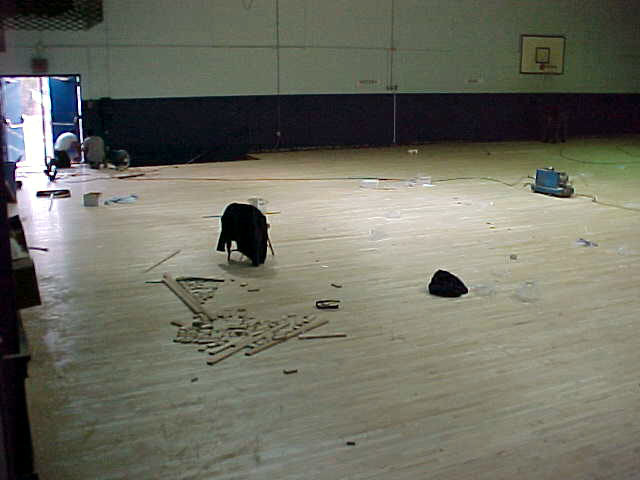 The important thing is to moisture test the substrate and the wood floor product prior to installation. Moisture testing along with proper acclimation (if needed) can greatly reduce the chance of moisture problems such as cupping or gapping. 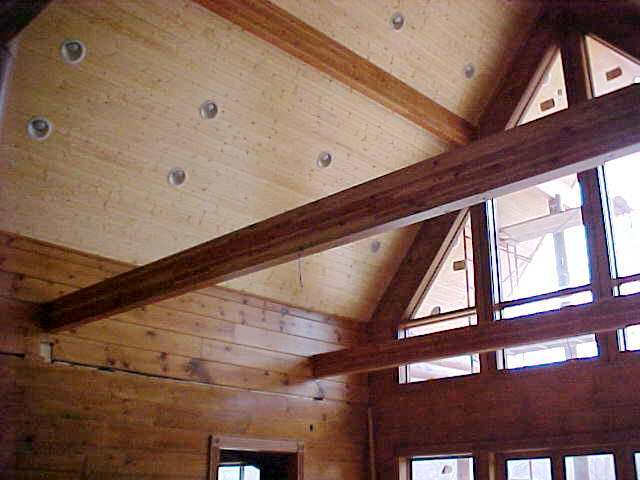 Always check with the manufacturer?s installation guidelines for specific recommendations regarding installation over specific subfloor types, thickness, joist spacing and floor coverings. 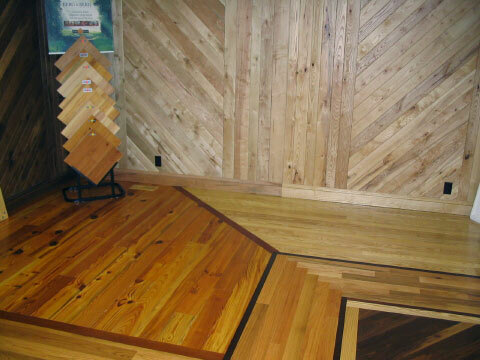 A successful wood flooring decision requires careful discussion up front between the consumer and salesperson while exploring the possibilities of lifestyle, type of product, species, color and type of substrate involved. The more exploring up front can in the end help to ensure the right product is chosen for the right application. It can also help identify and eliminate problems before the installation is completed.